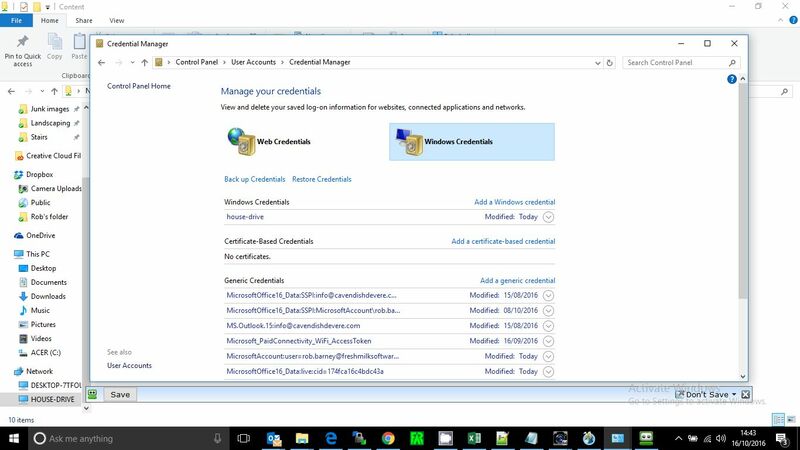 I have been spending all afternoon trying to get access to my network drive for my Windows 10 user account. As Microsoft have yet again made the simplest things harder to do, there is a lot of information about how to do this – a lot of it was not relevant however. So, I could gain access by logging into the administrator account but then that is effectively another account so anything you download from the server stays in that account and you don’t have access to it from yours. So with trial and error I found this solution. 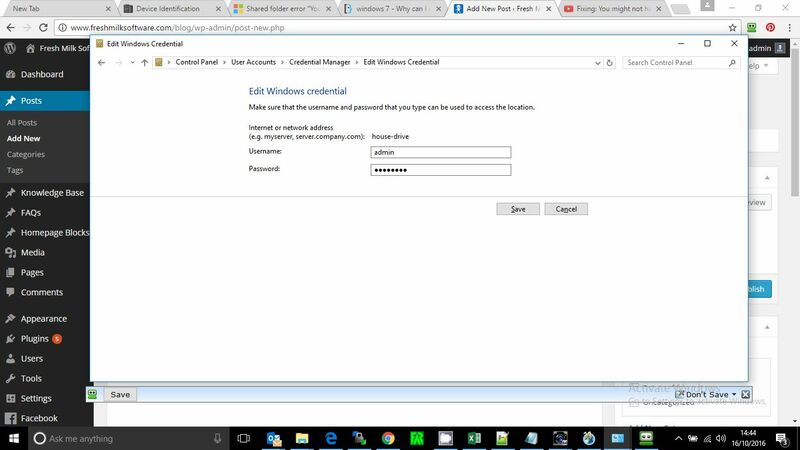 Click ‘Windows Credentials’ Type in the internet or network address, the username and password for the server and the Apply it. Hey presto. You can now access your network drive.